Mr. David Miscavige about to announce a turning point for the Scientology religion in 2013 in Clearwater, Florida. With that, Mr. Miscavige established the importance of his announcement—no less than a transformation of the world of Scientology, and with it, certainty that every Scientologist could now achieve the higher states of spiritual existence they desired. The project encompassing the Golden Age of Tech commenced in earnest upon completion of the Golden Age of Knowledge and its recovery of the foundations of Dianetics and Scientology—the Basics Books and Lectures, the Congress Lectures and the Advanced Clinical Course Lectures. It was essential that those works were verified as complete and correct, as they provided significant discoveries of Mr. Hubbard’s original intent concerning training and processing. Some of those discoveries had become obscured by time and alteration; some had never been fully identified and compiled; some were what Mr. Hubbard described as “lost tech”—meaning literally lost, or lost by virtue of no longer being applied or not being applied correctly. The recovery and restoration of lost and incomplete technology led Mr. Miscavige to scrutinize 21,366 of L. Ron Hubbard’s Policy Letters, Technical Bulletins and other written materials for authenticity over a period of years. He assessed content and context and corrected even the smallest omissions or unauthorized alterations. For a Scientologist, that means certainty that their Bridge to Total Freedom is 100 percent on-Source with no alterations. It means they can ascend the Bridge more directly and with greater results, because the route now contains the precise data, procedure or processes as originally developed by Mr. Hubbard. 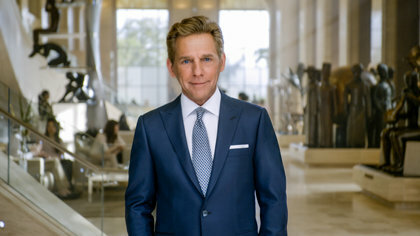 Mr. Miscavige holds the ultimate responsibility for ensuring the standard and pure application of L. Ron Hubbard’s technologies of Dianetics and Scientology. He dramatically demonstrated that responsibility and his unerring commitment with the completion of the Golden Age of Tech. To expedite the administration of these newly standardized training and processing routines, Mr. Miscavige carried out the largest and most intensive ecclesiastical education program in Scientology history. By the end of the program, he had overseen the instruction of some 1,100 senior clergy from Churches in 37 nations, who then returned to train and audit parishioners in their home areas. Once released in November 2013, the materials, tools and training of this Golden Age of Tech streamlined the process of becoming a Scientology auditor. This accomplishment became the embodiment of “Keeping Scientology Working,” and closed the door forever on any possibility of unauthorized additions, omissions or other alterations to Mr. Hubbard’s works. The significance for individual Scientologists was—and remains—immense. 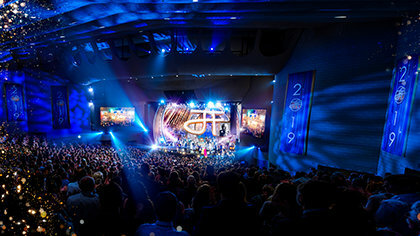 These accomplishments heralded a grand and noble future for Scientology, a future conceived and carved into eternity by L. Ron Hubbard, and delivered by David Miscavige. Mr. Miscavige oversaw the most comprehensive training program in the Church’s history, involving more than 1,100 senior ecclesiastical ministers from Scientology Churches across 37 nations who graduated from the Golden Age of Tech courses and carried that knowledge back to their homelands.